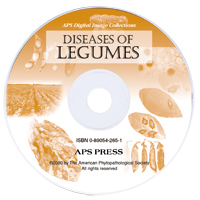 The most comprehensive and authoritative guide to pea diseases available. 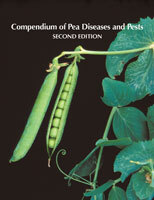 Compendium of Pea Diseases, Second Edition covers information on the diagnosis and control of pea diseases. Contributions from worldwide authorities in pea disease research make this edition the most comprehensive and authoritative guide to pea diseases available. Included in this edition is extensive coverage on herbicide and insect feeding injury, fertilizer deficiencies and toxicities, seed vigor, and seed health, as well as updated information on pea-pathogenic virus and bacterial genomes, and sources of resistance to virus diseases. Practical and easy-to-use, the 107 color photographs and the Guide to the Identification of Pea Diseases in the Field will help anyone who works with peas. The information provided in this reference will aid in the management of pea diseases worldwide and help ensure the health of this important crop. This resource is ideal for growers, crop consultants, agronomists, plant scientists, extension workers, teachers, students, county agents, and libraries.